SRT (spoke reinforcement technology) and SBS (seamless brake surface). Very light, and still quite stiff. Accelerate marvellously up inclines. Handle very well. The braking surfaces is integrated into the rim of the wheel, there is no separate braking surface. Though braking is fine, I wouldn’t be using in criteriums. Zipp 202 were actually used in Paris Roubaix for 4th place finisher. Used also by Carlos Sastre in high mountains during his Tour win. I bought a Zipp 202 rear for £750 in January 2013 when on special offer at Wiggle. If you can be patient, keep an eye on price and wait for a sale to get wheels at a discount. It is worth the wait! Very fast and light weight. Good for hilly time trials. They have a good strength. For a rear wheel, I was more conscious of rigidity; this encouraged me to get a Zipp 202 rather than the lightest I could find, as I assumed they must have good rigidity if used in Paris-Roubaix. 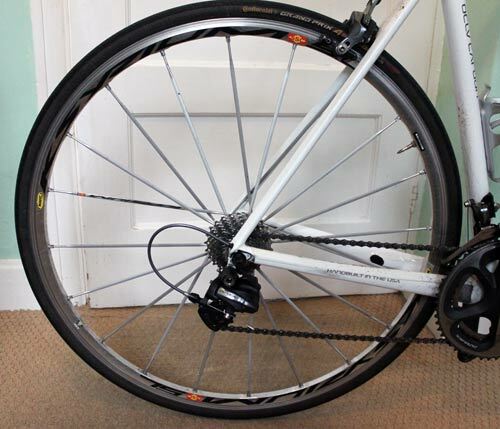 Clincher wheels tend to be slightly heavier with tyres and inner tubes and bigger rims. However, recent developments, have helped reduce the weight of clincher wheels. Quite a few now come with carbon rims to help reduce weight. Lightweight Ventoux Tubular– 999grams $3,000 – $5,000 a pair! Why Do People Say Weight of Your Wheels Counts Double? It is to do with acceleration and the fact the top of your wheel travels twice as fast as your bicycle. Thus to accelerate, the energy taken to push the wheel is greater than for the bike. Once you have maintained a constant speed, then the weight of your bike and wheels count for the same. But, if you slow down and then accelerate, the energy to move the mass of your wheels is greater than for the bike. Therefore, a secret of climbing is to try and maintain constant speed and effort. Keep the action smooth (an advantage to maintaining a high cadence and smooth pedalling power). If you have a twisting climb of varying gradients then the effort to move your wheels will be proportionately greater. 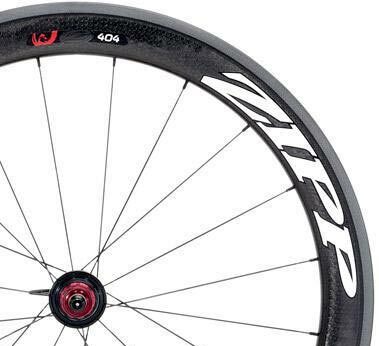 Tejvan, do you consider the Firecrest version of the Zipp’s or prefer the regular versions? I thought there was some aero benefit but not sure if worth if for the extra weight. I have the firecrest for 808 Zipps, and they seem quite good. Hi I read one of your pages on hardnott pass and was shocked by how steep it actually was! got into a lot of trouble as I forgot to change my sprocket ended up heading up in a 42 25 – never again! Looking at buying a new pair of wheels for road racing and hill climbing for under 2k just wondering what you think the fastest/ lightest are? Just wondering what you think the best wheels are for under 2k for climbing and speed? Actually the lightest wheel set available is the Roadrunner 25T Ultra of 77 Composites weighing around 760g, it’s a custom build model but their Roadrunner 25T Pro also only ways around 840g. What’s with buying complete wheels why should I replace hub when only rim is broken? Dont count double because travel faster. It is about moment of inertia, around the tire-wheel diameter yes count double (aprox) in 29″ tire-wheels, in 28″ is less, and still less in 26″. Part of the wheel near of the hub is a extra 10% or less, up to 100% extra or more in the tire.